1 Everblaze Comet: a shooting star plucked from the firmament and slammed down into enemy lines, this is a large meteoric rock with a sculpted base depicting its devastating impact. This kit comes as 12 components supplied on gold-coloured plastic, and includes 2 Citadel 65mm Round bases and a Citadel 50mm Round base. 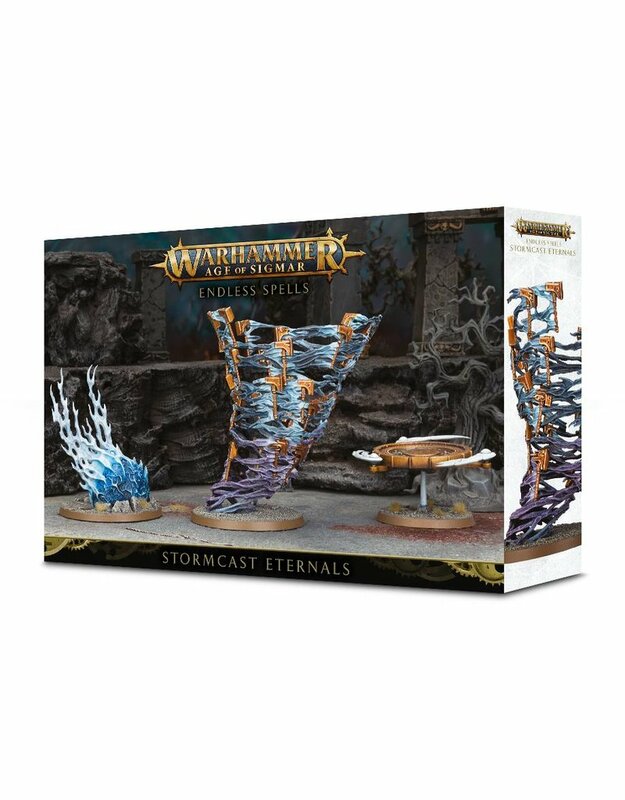 Warscrolls are found in Battletome: Stormcast Eternals.